Learning about leaves is always a fun part of any autumn preschool theme. 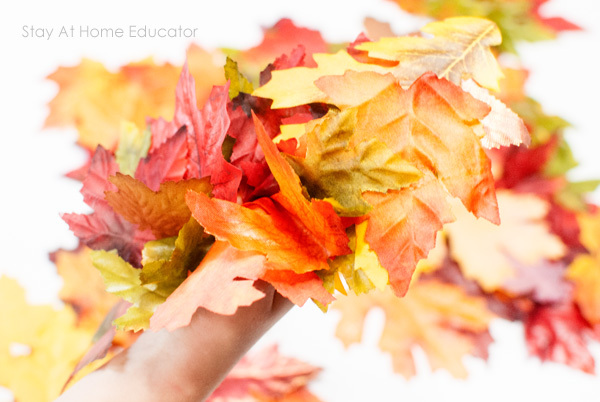 From sensory play and process art to reading fall picture books, there are a lot of fun ways to teach your preschoolers about leaves during fall. 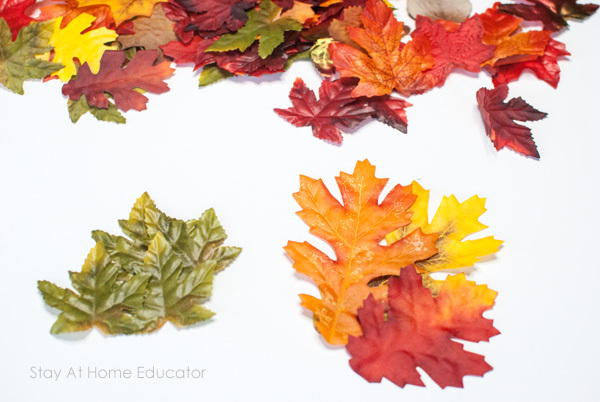 And this post features five brand new autumn leaf activities for preschoolers! 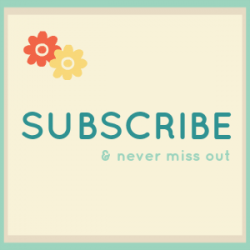 Also, check out this growing list of fall activities for preschoolers! If you’ve been on a nature walk recently with your preschooler, you might (probably) come home with a small (or large) collection of leaves. 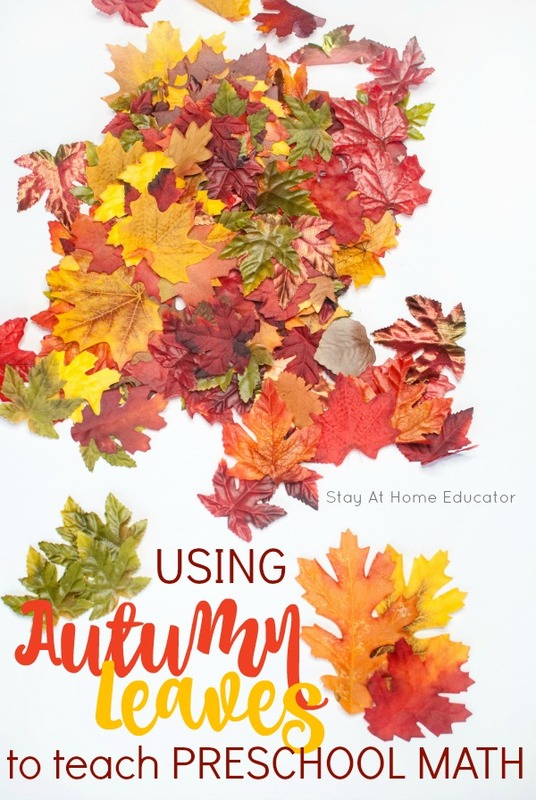 If you live in a place where fall hosts vibrant hues of all the warm colors of the rainbow, then I know that learning about leaves is most likely part of your fall preschool lesson plans. Near my home is a short, blacktop walking path that meanders through the neighborhood. The path is lined on both sides by various species of maple trees. You know, they kind that are so iconic of autumn. My boys and I love walking the path and watching the trees change over the season. First, they start to turn a bright green, almost like budding leaves in spring, then they gradually turn to yellow, then orange then a glaring red before turning brown and falling to the ground. And all those trees to shed their foliage, those leaves create a colorful carpet of crunchy autumn fun. A natural autumn sensory activity, if you will, because have you ever known anyone who doesn’t enjoy walking through leaves, making them rustle? 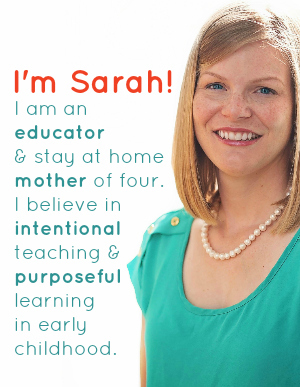 My boys are no exception, and I imagine your preschoolers aren’t either. They also love leaves. The next time you are out, grab some small canvas tote bags and collect some leaves for autumn leaf activities that also teach math. That’s right, these are five math activities using leaves. A variety of leaves. Different colors, different sizes, different shapes. 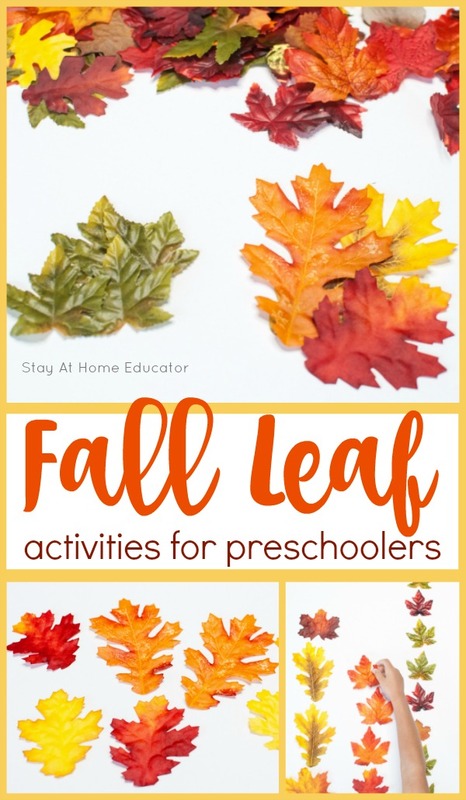 If collecting natural leaves is not an option for your preschoolers, silk leaves from the craft store work just as well. Below are the silk leaves I own. A quick note on quality…not all silk leaves are created with the same quality. You can often purchase silk leaves from the Dollar Store, but just know they will fray and you will most likely only get a few uses out of them. Seriously, all you need to do here is scatter your leaves about a space. An under-the-bed plastic tote works well for keeping the leaves contained to one spot in your home. It’s important to allow your preschooler some time to simply play with the leaves. If they are real leaves, they will want to look closely at them, maybe tear a few or hold them up to light. 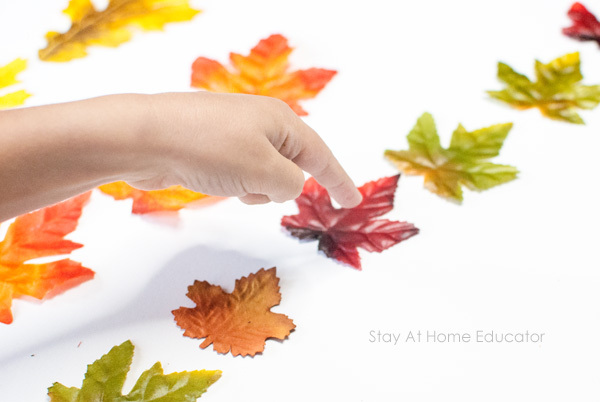 Give your preschooler this time to play and they will be more focused with you introduce a few fall math activities using the leaves. AUTUMN LEAF ACTIVITY #1 – WHICH ONES DON’T FIT? The most obvious leaf activity is sorting. But there are so many ways to sort the leaves. First, my boys just started by picking out the green leaves, which they felt were a little mismatched for fall. Essentially they were sorting warm and cool leaf colors. All the green leaves happened to be the exact same size and shape, but that’s not what my boys were looking at. They were looking at colors. “Live” leaves versus “dying” leaves. Spring leaves versus fall leaves. A different way to teach children how to sort is to invite them to select the leaves that match one you select. Now, when I invited my boys to do this, I discovered there was more than one way to find a “matching leaf”. When I say that, you think of a matching leaf shape, right? But my four-year-old grabbed a matching shape but my three-year-old went for a yellow leaf, one that matched in color, not shape. Your preschoolers might do the same thing, which is ok! But then there is a decision to make. To find matching shaped leaves or matching color leaves? Of course, sorting by color is a great leaf activity! Sorting falls under the algebra discipline in math, and it’s one of the most important math skills preschoolers can learn. Sorting helps preschoolers find similarities and differences in items. It also encourages visual discrimination skills, which is important for learning how to read. 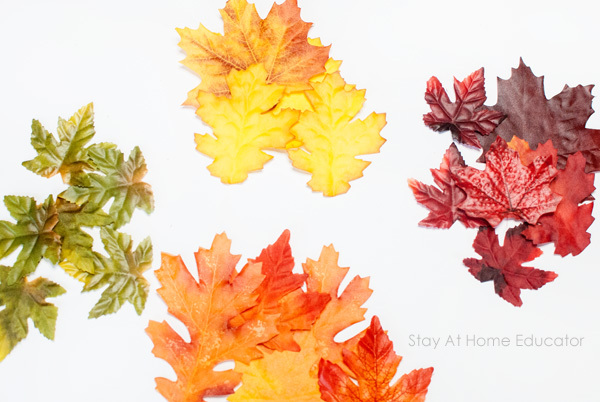 So, while sorting leaves by color may sound basic and uncreative, don’t skip it. Ok, so in full disclosure, this activity isn’t quite graphing. 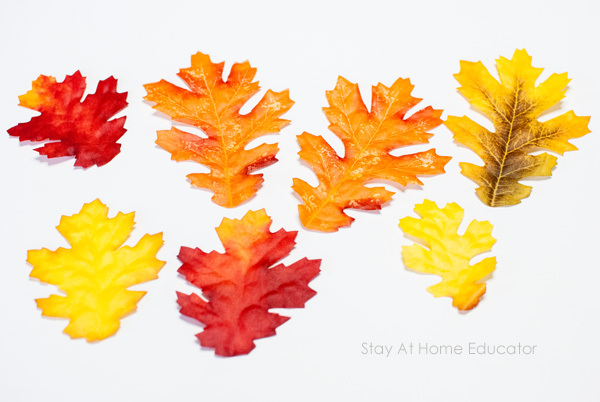 Once you complete the color sorting activity above, or maybe a leaf shape sorting activity, or sort the leaves any other way your preschooler sees to organize, invite your preschooler to turn those piles of leaves into lines. This essentially organizes the leaves into a graph. 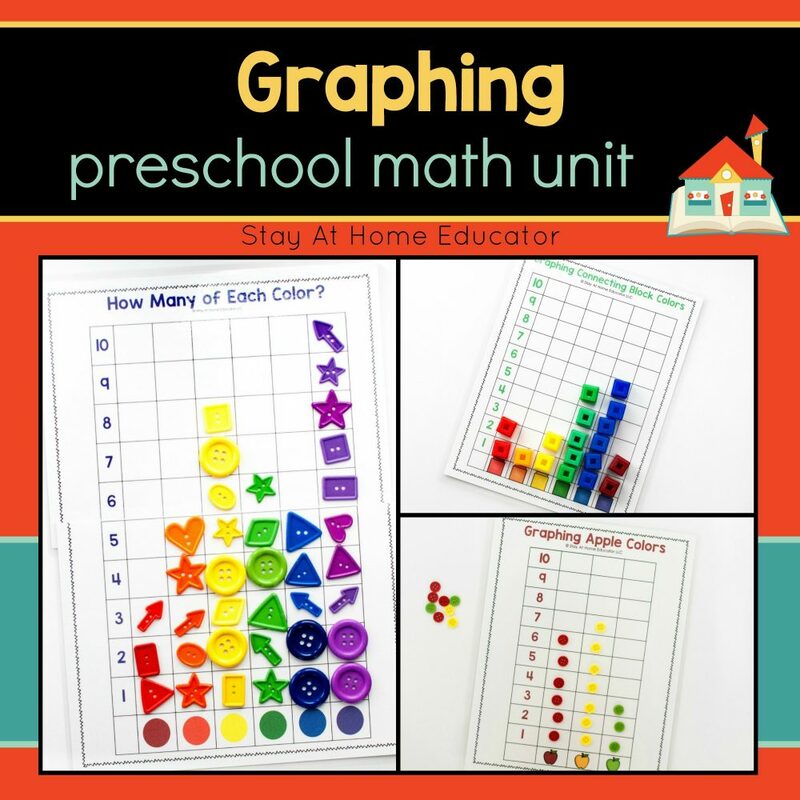 The important thing here is to allow and encourage your preschooler to first sort the leaves how he decides (as long as he can explain it), and then graph it the same way…how he decides. 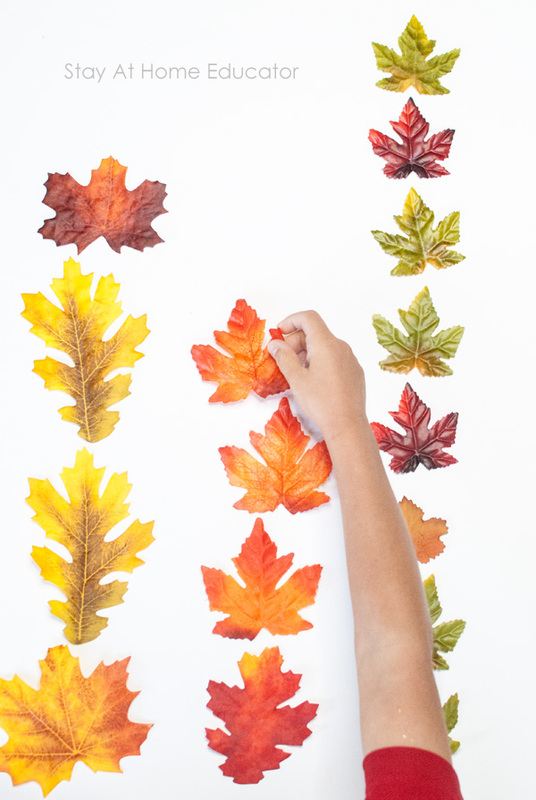 Finally, invite your preschooler to count the leaves she has collected. Depending on the number of leaves your preschooler gathered, it might be overwhelming to count all of them. 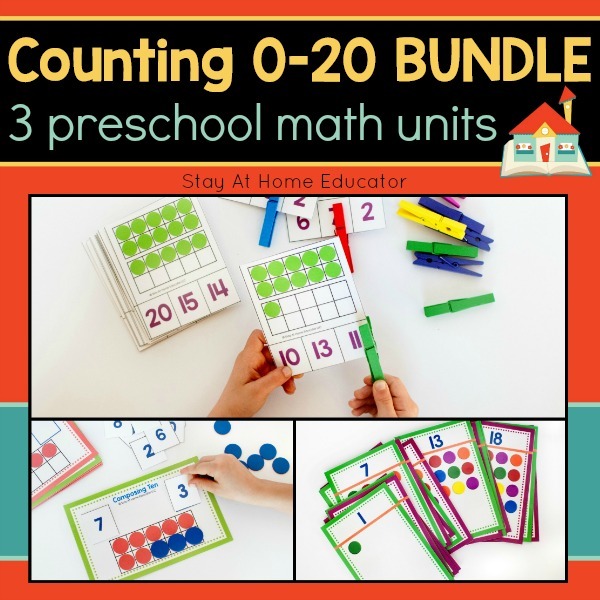 I like to encourage my preschoolers to count them in sets of ten. This is a collection of the best autumn activities for preschoolers, from learning the alphabet and numbers to fall-themed process art and autumn sensory activities. And of course, you’ll find some autumn nature learning activities, too! There are enough in this ever-growing list to keep you busy all season long! Be sure to pin it to your Autumn Activities Pinterest board! 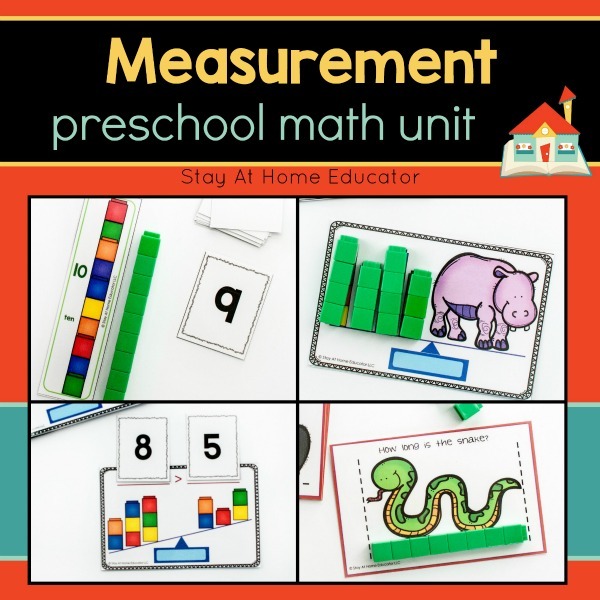 Looking for More Math Activities? 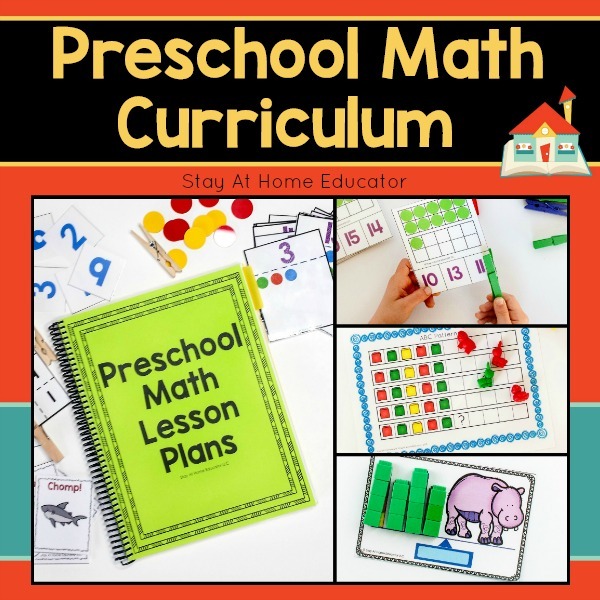 These math lesson plans cover each discipline of math. 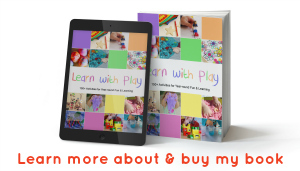 There are four weeks of lessons in each plan, each unit including 30+ hands-on activities, eight printable and reusable math centers, and eight optional literacy integration activities.